We’d love your help. 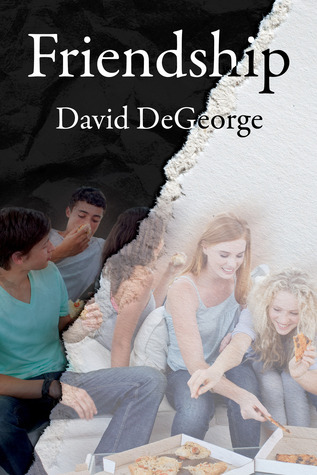 Let us know what’s wrong with this preview of Friendship by David DeGeorge. To ask other readers questions about Friendship, please sign up. A journey for a group of friends as they transition from teens to young adults. Each one is facing their own personal issues and demons. David DeGeorge is the author of various published short stories, several of which were finalists in writing contests. After being the “Typhoid Mary” of two publishers (both went out of business following their acceptance of his books!) his novel, Friendship, a coming of age story, was published. He's since had Internment, a psychological suspense novel, Chalktrauma, a horror novel, and The Chair p David DeGeorge is the author of various published short stories, several of which were finalists in writing contests. After being the “Typhoid Mary” of two publishers (both went out of business following their acceptance of his books!) his novel, Friendship, a coming of age story, was published.